I don't know about you, but I love Christmastime and tend to try and fit too much in during the 24 days before the big day. I have really grand intentions and rarely forget to do the "big" traditions like getting our Christmas tree or hosting my Annual Cookie Swap... but sometimes my littlest kids get lost in the shuffle. In one class I took in college the teacher talked about making deposits in our relationship bank accounts with our kids. He mentioned that each positive interaction contributed to making the relationship stronger... but doing nothing actually depleted the relationship. I definitely need to make more positive deposits and strengthen my relationship with my 3-year-old! 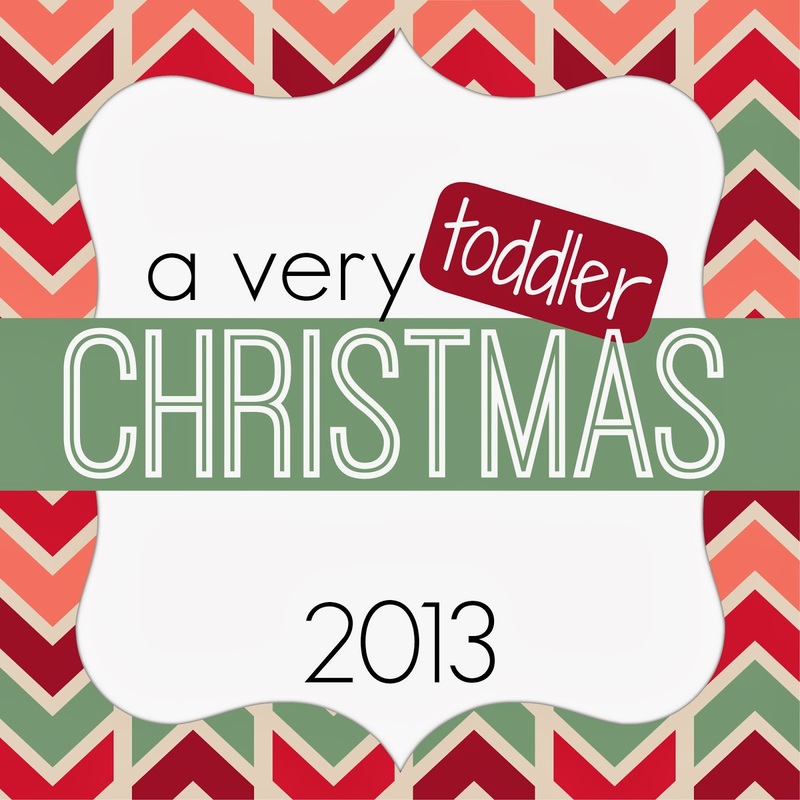 This holiday season I am setting a goal to do something simple with my toddler each day during December that is fun, builds our relationship, and gets us in a festive mood! We'll do crafts & learning activities, read books, and even do a few cooking projects. Every activity will be simple, have easy to get materials, and will be geared towards kids ages 2-4. You can sign up for my daily A Very Toddler Christmas Newsletter below and get a daily email from me each morning (approx 6am EST) with one activity to do that day. You can do the activities along with me each day or save the emails and do the activities whenever you want throughout the month. Some activities will be classic ones that we do every year and some will be new activities we've discovered and want to try. All activities will be simple, age appropriate, and fun! The first email will arrive in inboxes on Monday, December 2nd, so sign up today! The last email will be sent on December 23rd. We will also be Keeping Christmas Cozy this year and we will be doing some fun advent activities with my older and younger kids. You can buy your own printable set for $4.99. Check out my Making the Holidays Cozy post for more details. Sounds fun! I can't wait to see what you guys are up to this month. I can't wait to get the one for today!! !